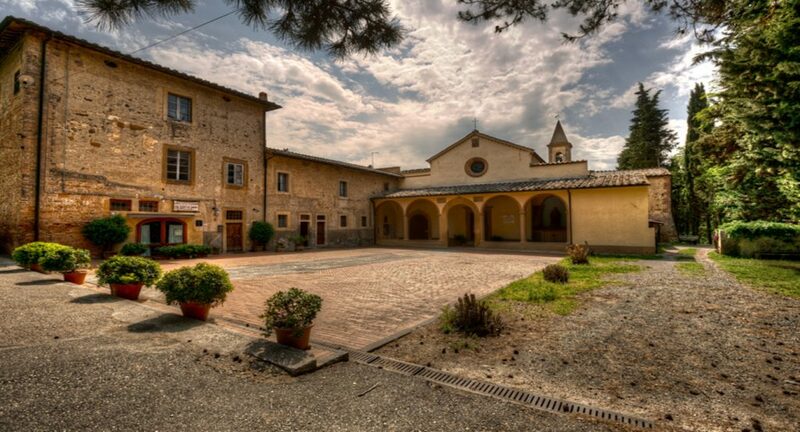 Tuscany Riding is perfect to combine riding, nature, good food and a glass of fine wine. 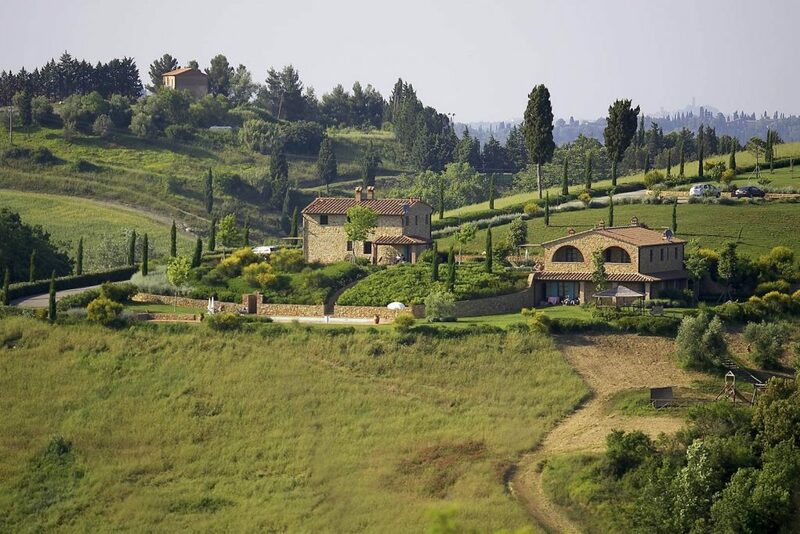 Castellare di Tonda offers a perfect way of riding through Tuscany at your own pace. You can decide, together with the guides, on which days you want to do your full-day rides and depending on the program you have chosen, how often you want to ride, it is all up to you! On your ‘off-days’ you can visit a nearby city, hike through the rolling hills, rent a bike and do a tour or just enjoy the tranquility of your farmhouse and relax by the pool. Your Tuscany Riding will be on very well-trained western horses on well fitting and comfortable western saddles. The guides are expertly qualified and speak fluently English, Italian and German. 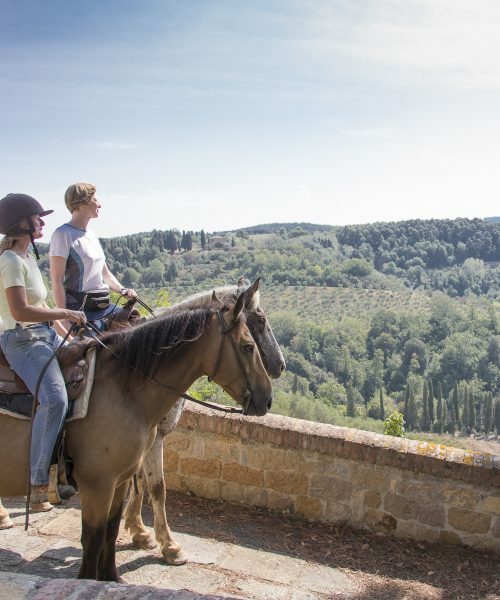 Castellare di Tonda encourage their guests to experience as much of the landscape as possible on horseback. They own a large number of horses and can accommodate any riding level. Children of all ages are welcomed with open arms. The outdoors provides a great deal of education and entertainment. The youngest guests will make new friends and enjoy their holiday just as much as their parents at the ‘Kids-Club’. Horses on riding holidays work hard week after week and even with regular breaks and good tack it is hard work for them, for this reason the trainer decided to have a maximum weight for riding of 187lb (85kg). Though as we know, an experienced rider, who may exceed the weight limit, may ride very light on the horse’s back. So, please do check with us first. 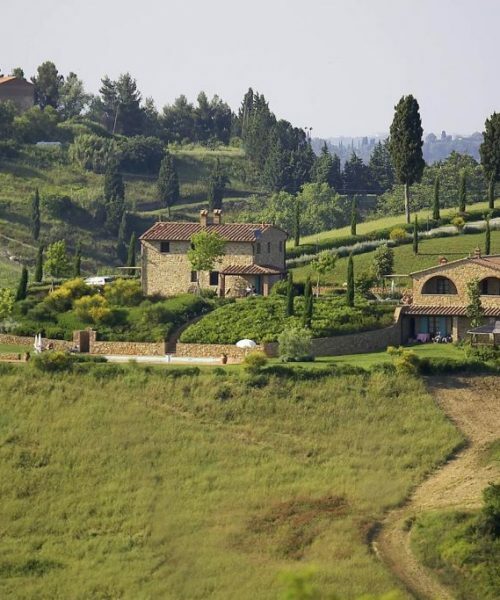 On the day of arrival you will have time to settle down and enjoy the view over the Tuscany Valley. You can walk down to the stables and meet the horses or just relax and have a drink on the terrace of the Main Building. Here you can also find a little shop for some groceries, if needed, like some snacks for the room or tea & coffee or maybe some goodies for the horses. Today it is time for Tuscany Riding. Meet up with the guides and horses for a short introduction ride in the arena. After that, you go out on your first morning ride along the beautiful countryside. Have lunch at the restaurant or at your own terrace or poolside. At the bar/shop you can order a great Italian delicacy platter. 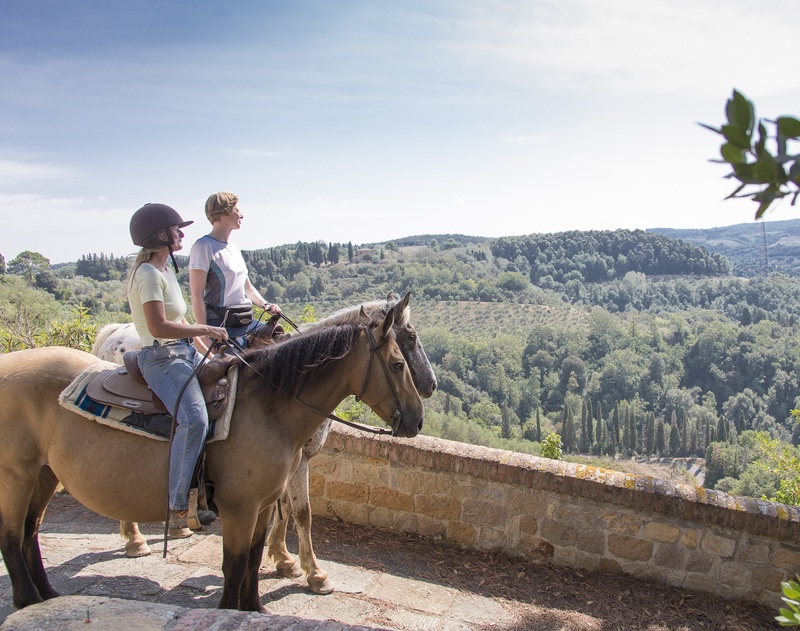 In the afternoon you will go out for another ride through the hills of Tuscany and enjoy the tranquility of the beautiful surroundings. Today will be a full-day of riding through the beautiful landscape of Tuscany. 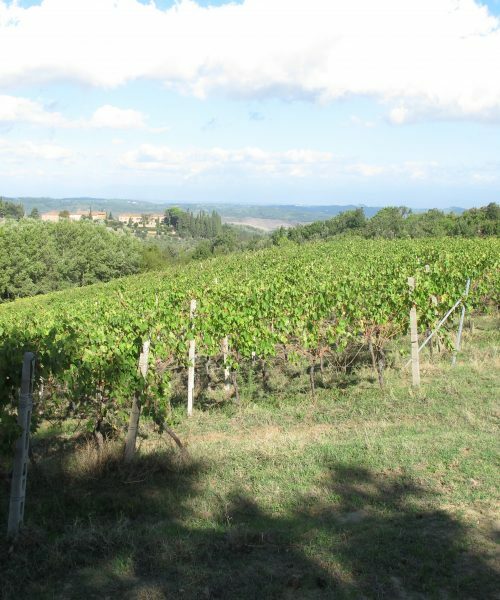 Trott through vineyards or walk by some old beautiful farmhouses. Enjoy an Italian picnic with typical Italian cheese and wine. After you are full of energy again and your horses are ready to go as well, you will enjoy a stunning ride back to Castellare. 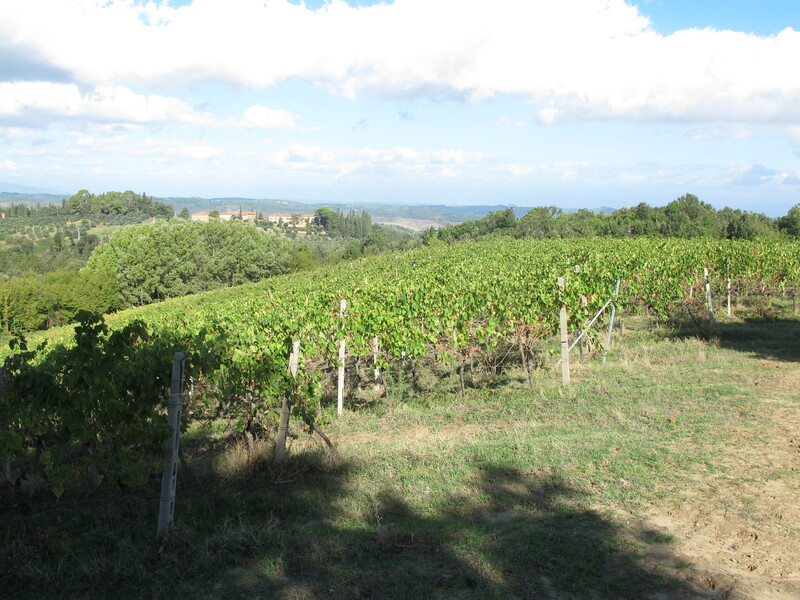 Another full-day of riding and you can enjoy the beauty of Tuscany’s rolling hills and vineyards. Let the horses climb up and bring you to a higher point for an even more stunning view over the area. After some nice trots and canters, you will have a picnic lunch along the way. 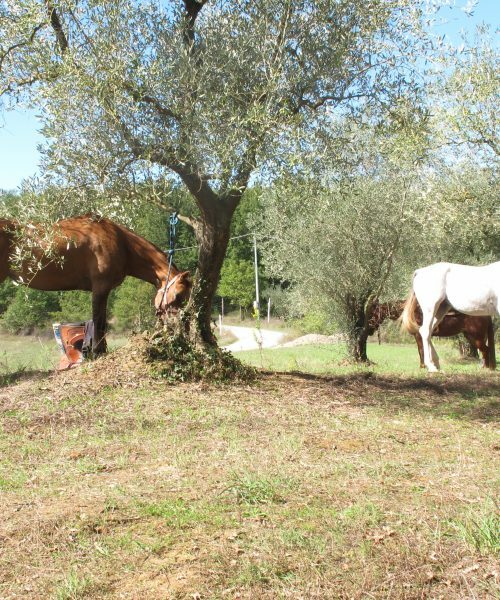 The horses will have a deserved break and time to eat. Enjoy the sun and your delicious Italian lunch before the road takes you through forests & vineyards, back to your home away from home. After a 2-hours morning ride it is time for a break! In the afternoon you will have time to visit the historic centre of Siena, which has been declared a UNESCO World Heritage Site. 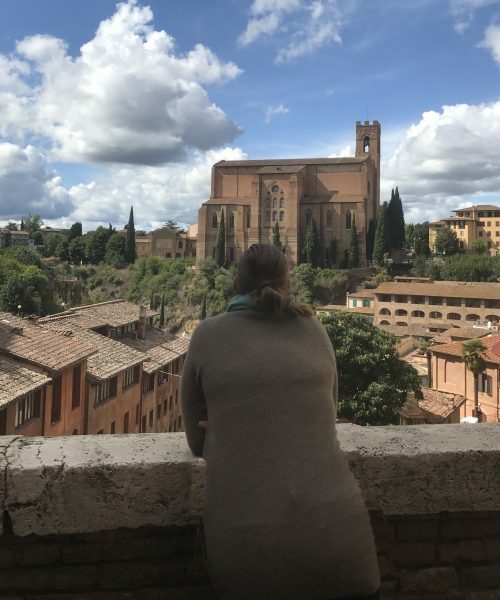 Siena is likely Italy’s loveliest medieval city, and a trip worth making even if you are in Tuscany for just a few days. 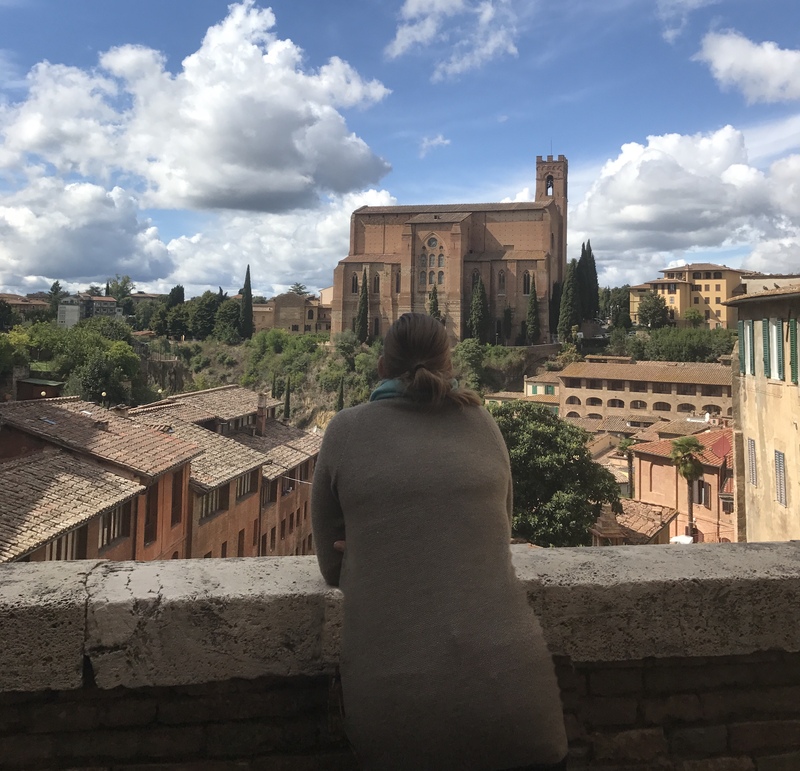 Siena’s heart is its central piazza known as Il Campo, known worldwide for the famous Palio run here, a horse race run around the piazza two times every summer. (a transfer can be arranged to the nearby trainstation, the best way to get to there). 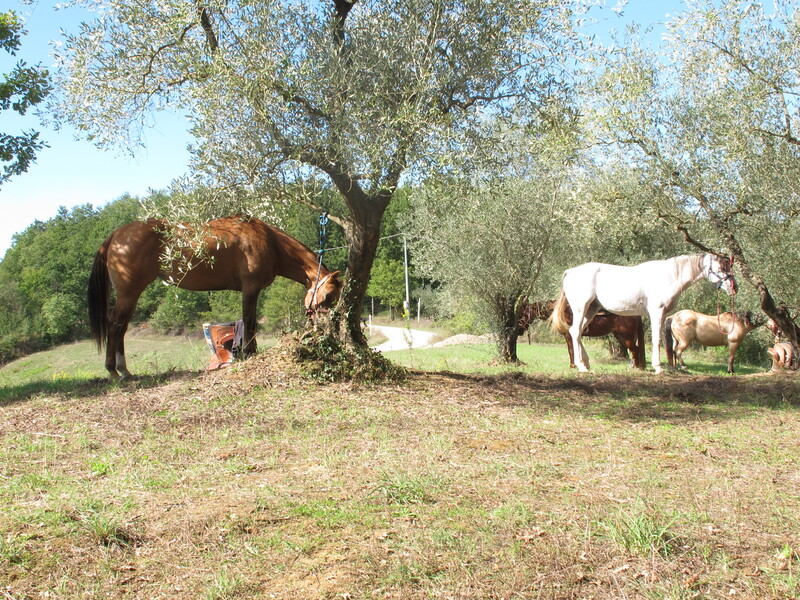 The horses will take you on your last full-day ride through this romantic country side with its silver olive groves, medieval villages, through the vineyards and lush forest. Some more canters will come along as you ride through this amazing area. Enjoy a picnic with fresh salads and Italian delicacy’s, sipping on your glass of wine you can dream away whilst listening to the sounds of nature and the horses grazing. After lunch you will mount your horse again and ride back to the stables. 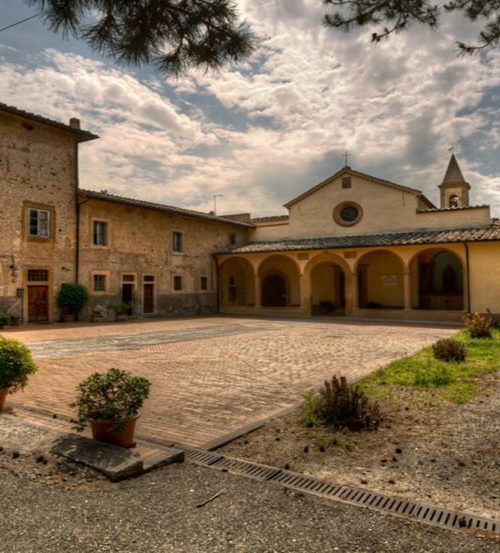 After your morning ride it is time to explore more of Tuscany and visit Florence (a transfer can be arranged to the nearby train station, the best way to get there). 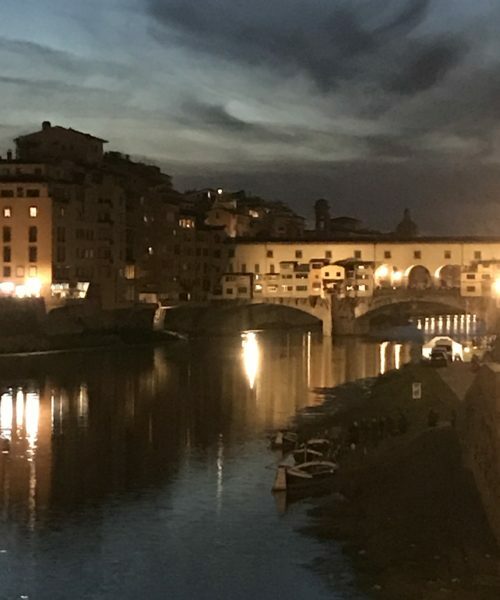 Stroll through the romantic streets of Florence, sit on a terrace and just feel the vibe of this historical city. 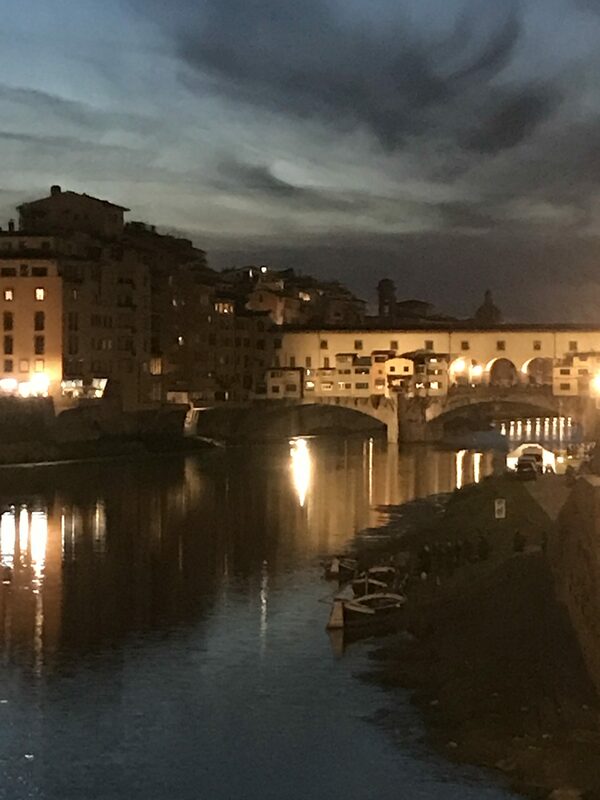 I would recommend to meet up with a guide that walks you through the streets of Florence and tell you more about the history of Florence (guided tour can be arranged). After breakfast it is time to say goodbye to your horses, the guides and this magical place. Depending on your departure time, maybe you have still time for a morning lesson with Franco & Marco. Nevertheless, at some point it is time to say goodbye to this beautiful part of Italy. If you are here during Truffle season, don’t miss out a Truffle Menu at Taverna dell’Ozio in San Miniato. The best I ever had!!! Approximately 20 hours of riding. Lunch is only included on your full-day rides.